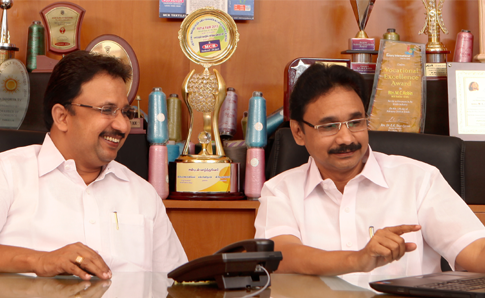 Roshini began its successful journey from the year 2004 under the able leadership of M.C Robin & M.C. Rixon. The brothers, founders of the dhoti brand MCR, buoyed by the success of Dhotis in kerala, Tamilnadu and other parts of india, wanted to have their image stamped on the Ladie's wear market also. The led to the foundation of the 'Roshini' brand under which churidhar materials are manufactured and supplied to kerala and the middle East countries. The house of MCR also offers a range of products such as MCR Dhotis, Lungies, Kerala Sarees, Rixo vests & Briefs, MCR Readymade shirts. With constant improvising & innovation, MCR continues to build brand loyalty among its customers, transforming the traditional into a trend-setting statement.